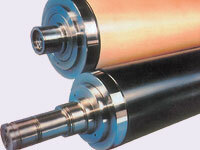 Hard Chrome Roll is known in many names Such as Heating Roll, Metal Roll, and Finishing Roll Hard Chrome Plated Roll. 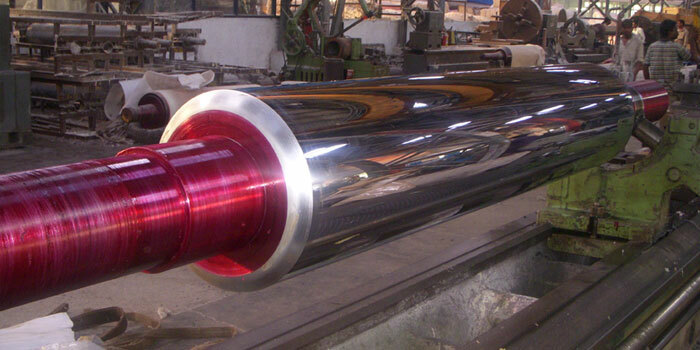 ECK Hard Chrome Roll is a vital part of Calender Machine, The Finish is the mostly depends upon the Metal Roll or Hard Roll. These roll provide the best support to elastic rolls or soft rolls , the nip is formed with the combination of elastic roll is responsible for the finish on fabric or on paper or any other media which are being to pass through the calendering process. 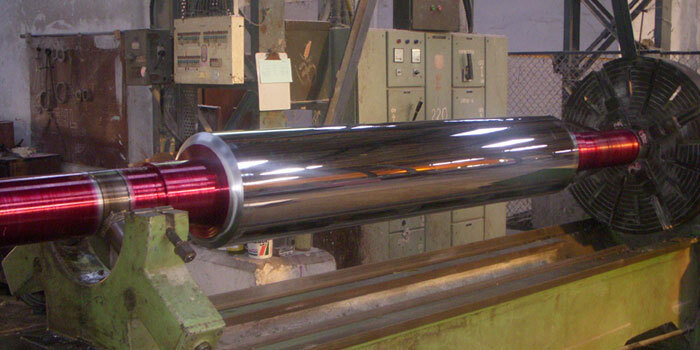 ECK Hard Chrome Roll stands tall in all quality and Operational Parameters. Why Hard Chrome Plating Needed? 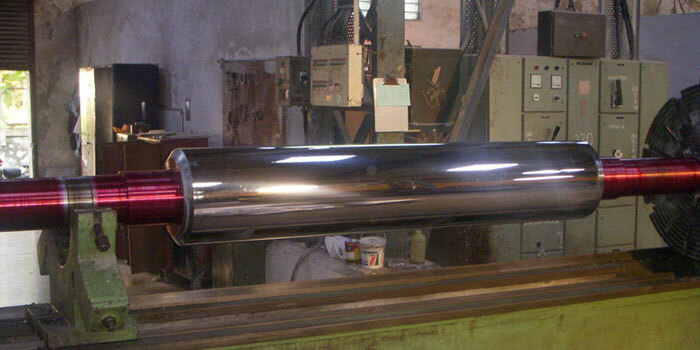 Chrome Plating Thickness: 80 - 200 Micron. To ensure proper bonding and a superior, wear resistant surface, Chromium must be skillfully impregnated in the metal pores. Plating is an art that benefits from our extensive, in-house expertise in metallurgy, metalworking and plating. This art and Science combination allows us to provide the most superior coating available on every job and the most effective solutions in the industry today. 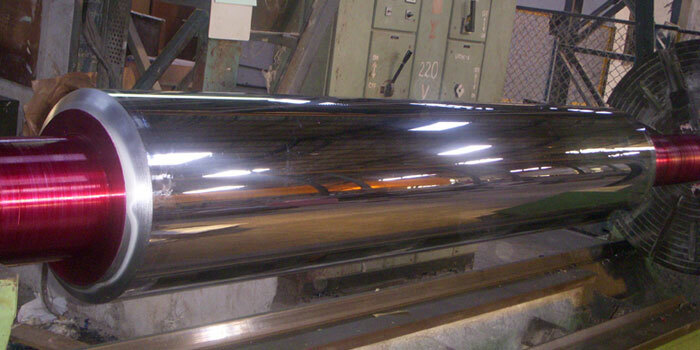 After Plating we called it post plating Treatment, We are fully capable of eliminating problems of distortion, offering dimensionally stability and durability characteristics and achieve the Superior mirror Finish on the surface.